The T-51 Right Leg is a Power Armor piece in Fallout 4. This Right Leg can be customized using Armor Mods. Below is a list of locations where you can find T-51 Power Armor set or parts in Fallout 4. Note: Your character level affects your chances of finding parts of this armor. Generally you are more likely to find these at Level 15+ * Full Set -- By a Crashed Vertibird located near the wreckage at the edge of the Elevated Freeway. The freeway is to the east of Graygarden and can be accessed via an elevator. *In Big Johns Salvage -- left leg, right leg, torso and helmet can be found. * To the east of Pickman Gallery on a dock that has tanks on it. Behind is a cast iron locked cage with a full set of T-51. Must be level 15+ to access. 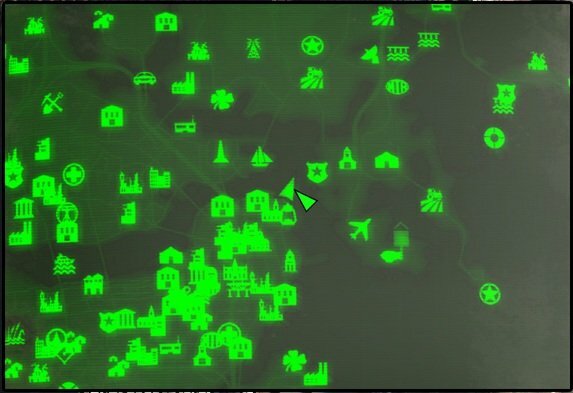 (Full set) ====Levelled spots:==== What Power Armor you find at these locations depends on your Level: * In a small secured area at the back of South Boston Military Checkpoint. A terminal (expert) needs to be hacked to have access. Increases Perception with six pieces painted. Complete the Railroad Quest: Tradecraft and remain a member of the Railroad. Increases Strength with all pieces painted. Increases Charisma with all pieces painted. Increases Action Point refresh speed in sunlight.